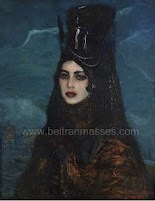 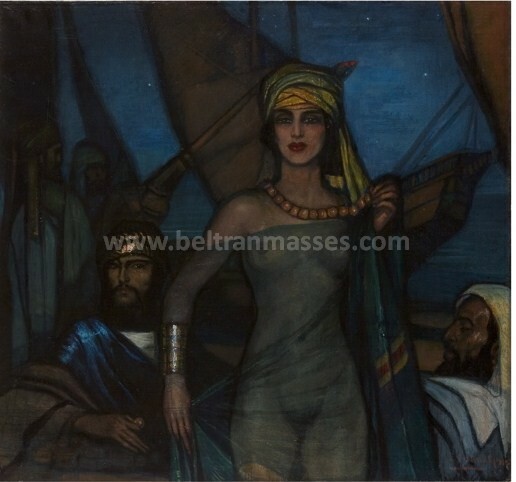 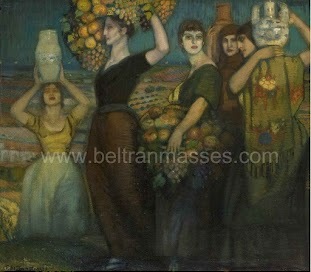 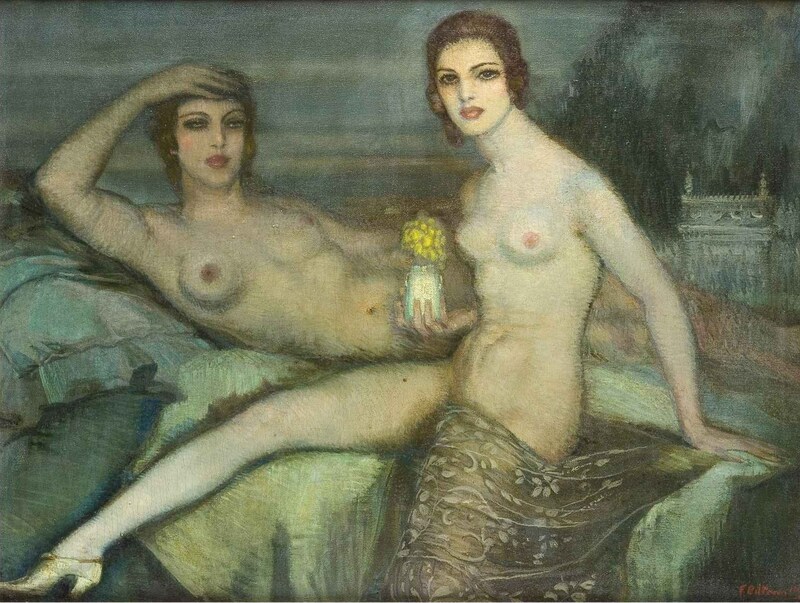 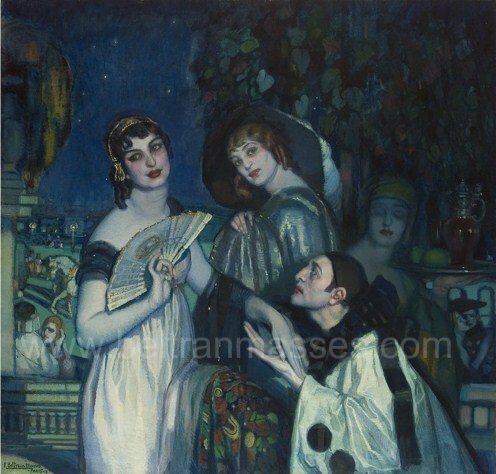 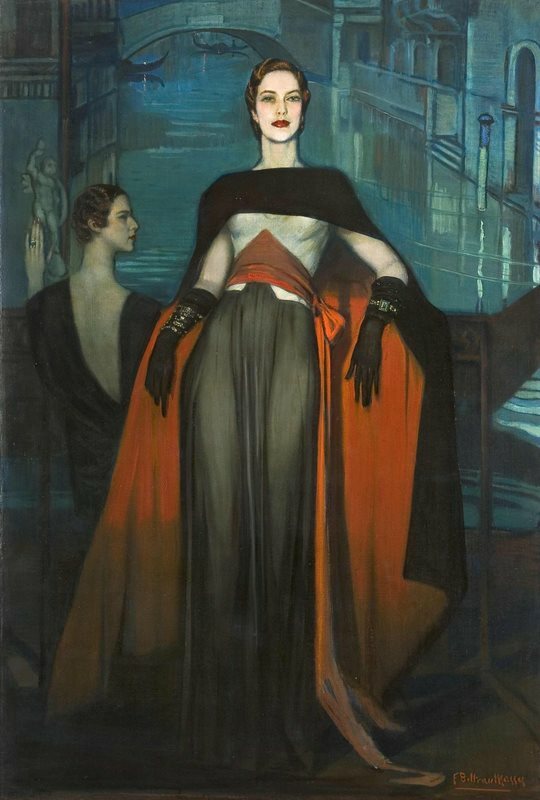 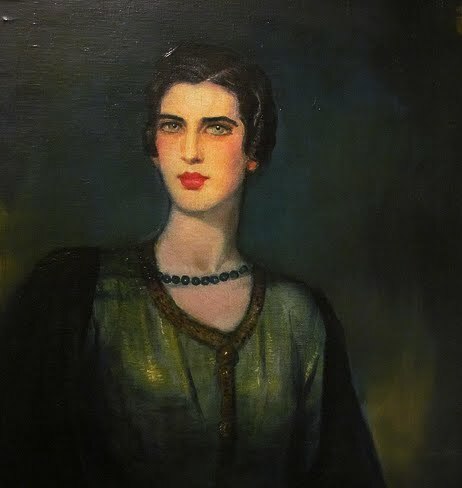 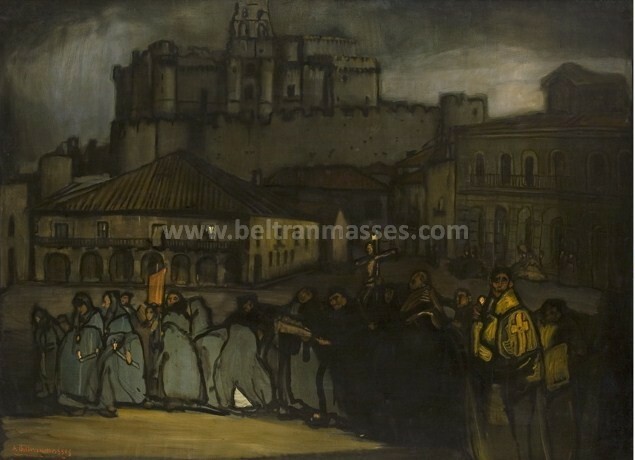 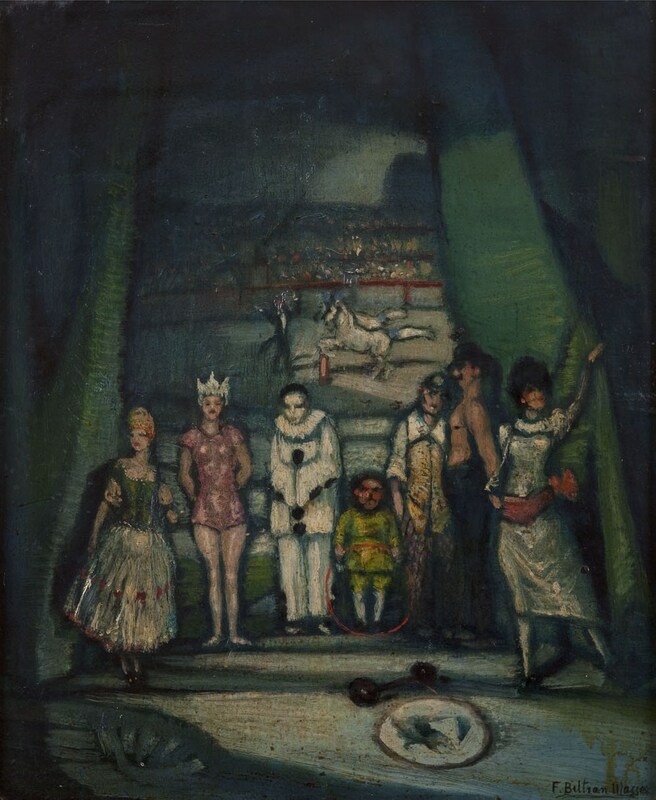 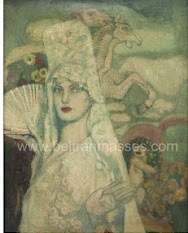 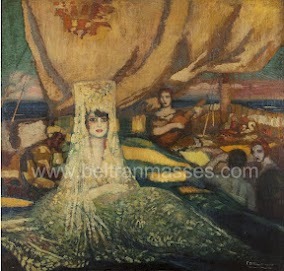 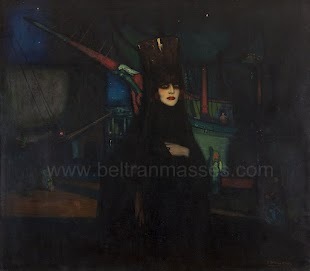 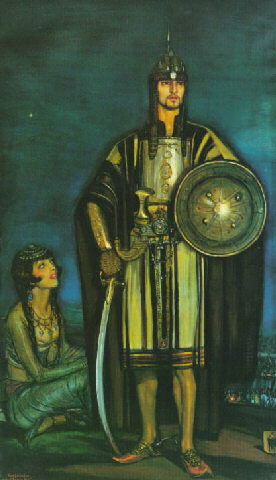 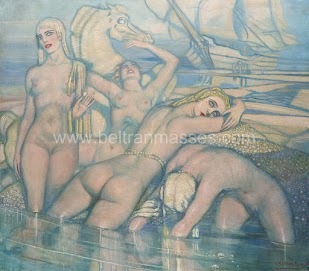 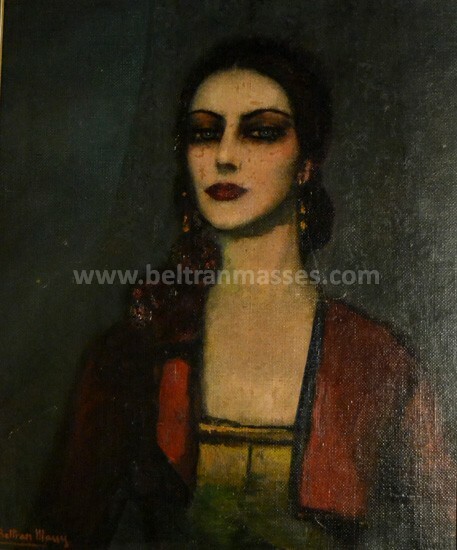 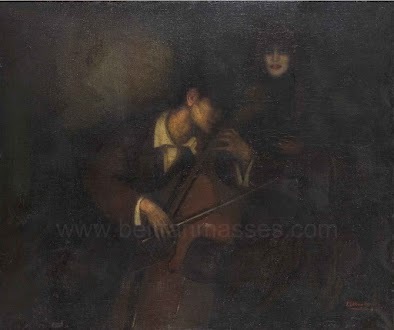 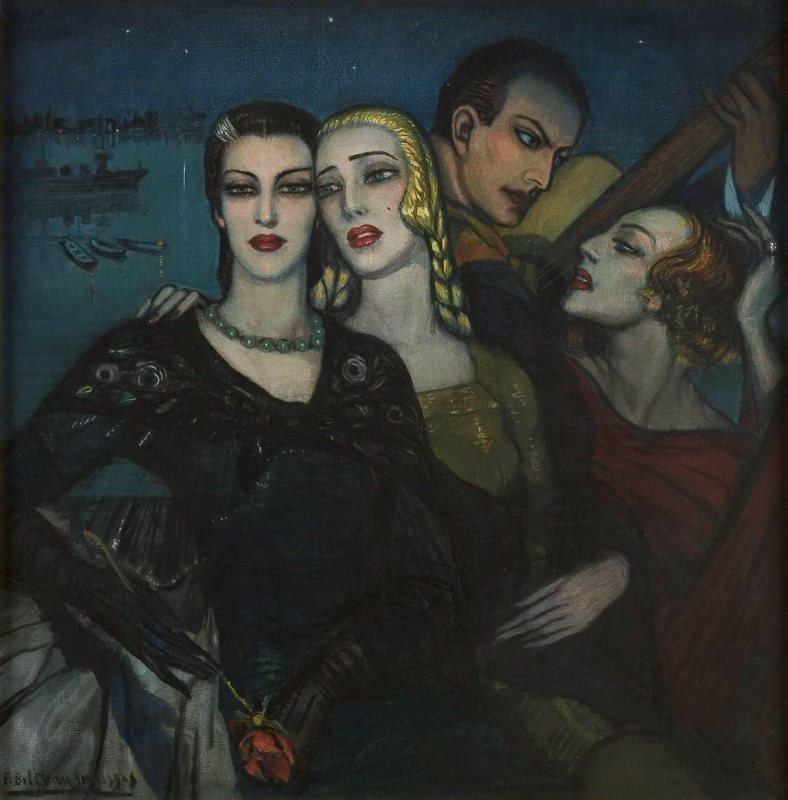 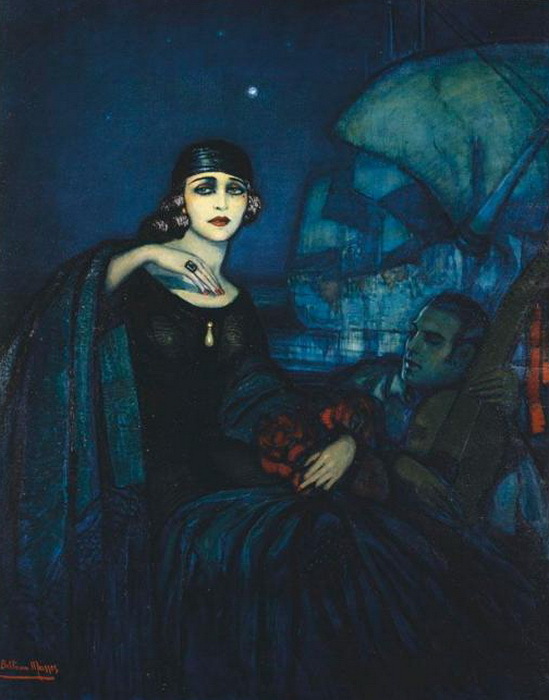 Beltran Masses’ work is complex to classify, however it could be situated between Art Decó and Symbolism, with some costumbrism roots in his first period. 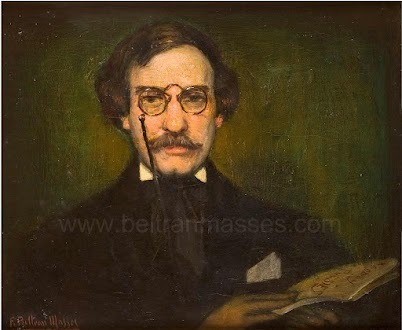 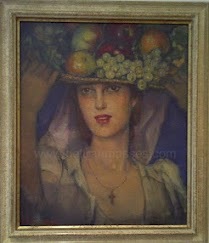 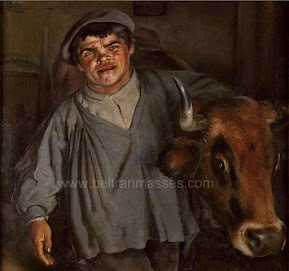 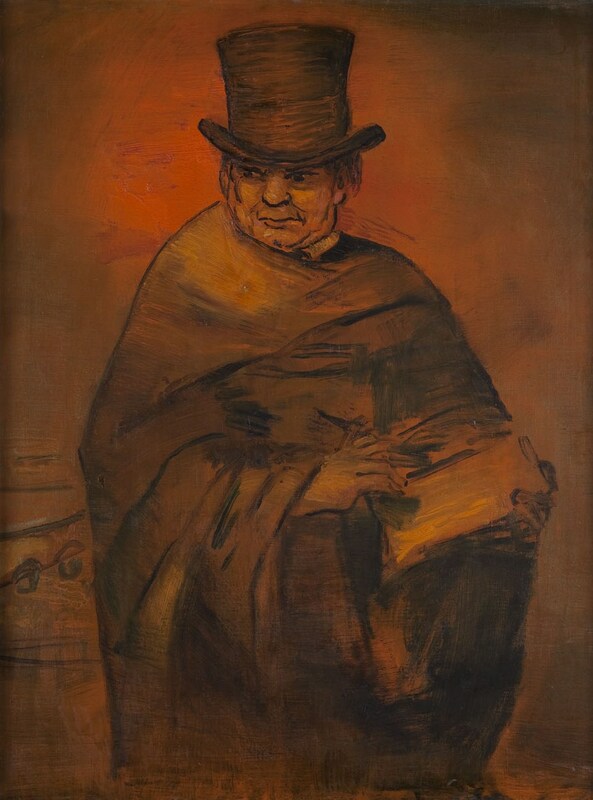 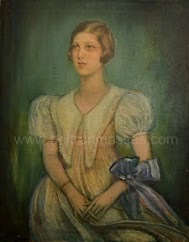 Beltran was a great portrait painter, and it’s in this field where he mostly develops his work. 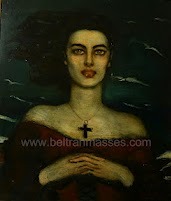 He evokes and recreates his characters searching for the beauty and the best in each person. 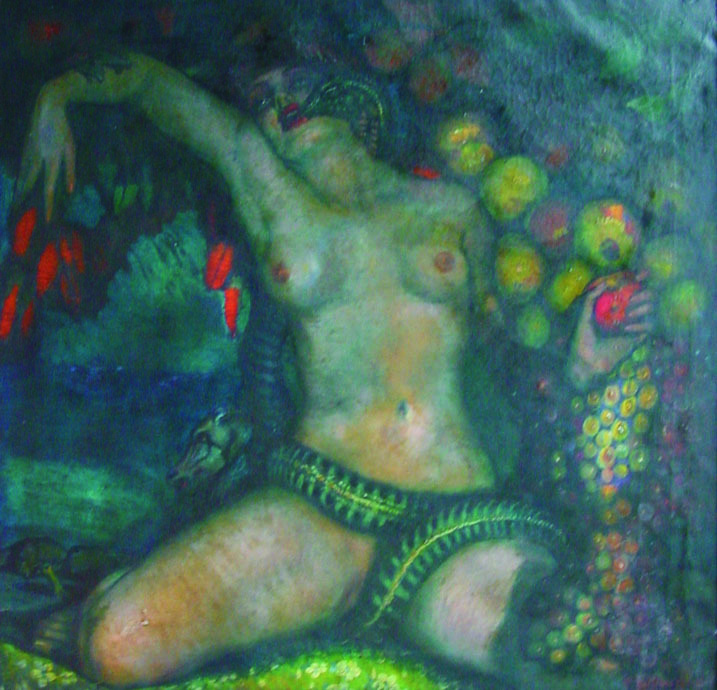 He explores their insides to find fantasy, memory, allegory, exotic, illusion…reflecting the spirit and the philosophy of the person being portrayed. 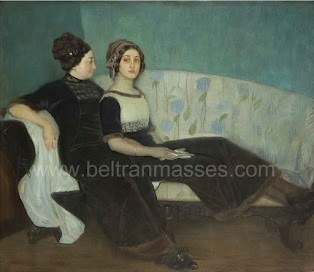 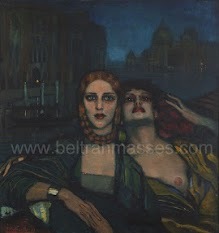 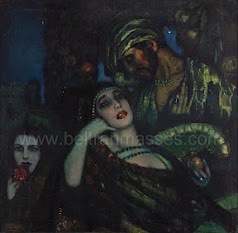 Beltran Masses’ aim is not painting reality. 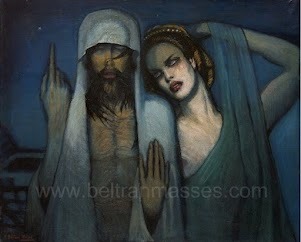 In all of his work we find a lot of description. 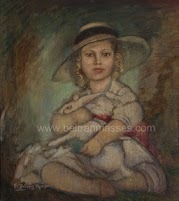 Beltran pays special attention to the details and the anecdotes; focusing on the quality of the clothing and jewellery. 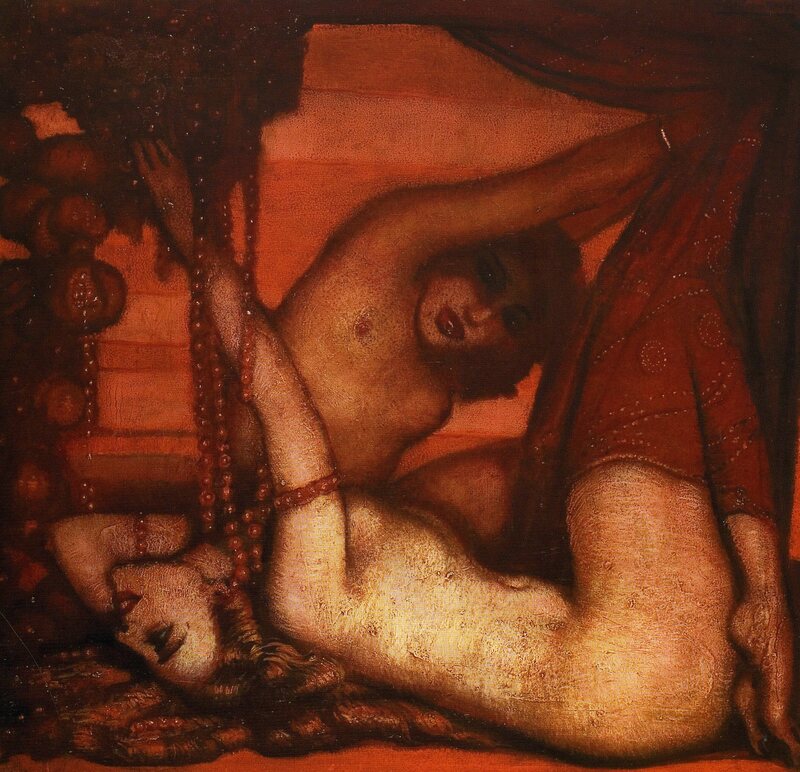 Exotic backgrounds, the shine of the fabric, of metals and stones, the Oriental lustre of the pearls … are also very present in his work. 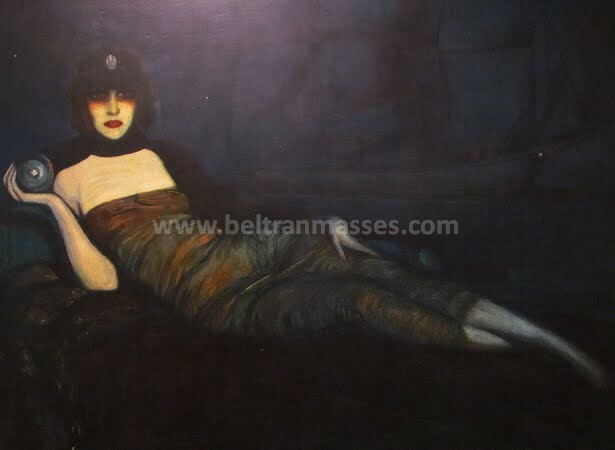 As backgrounds to his portraits we find exhaustive, detailed descriptions of the surroundings, which evoke a luxurious and dreamed about elegance. 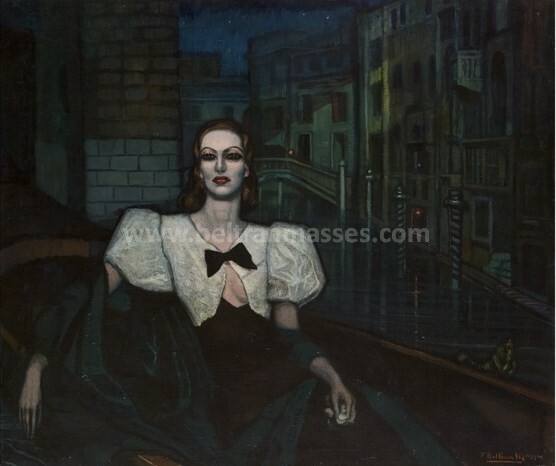 On the one hand they are descriptive settings (Venice with its canals and palaces) and on the other they are mythological or fruitful evocations: always wanting to feed the exotic part of his dreams and, on another level, placing his work away from reality.